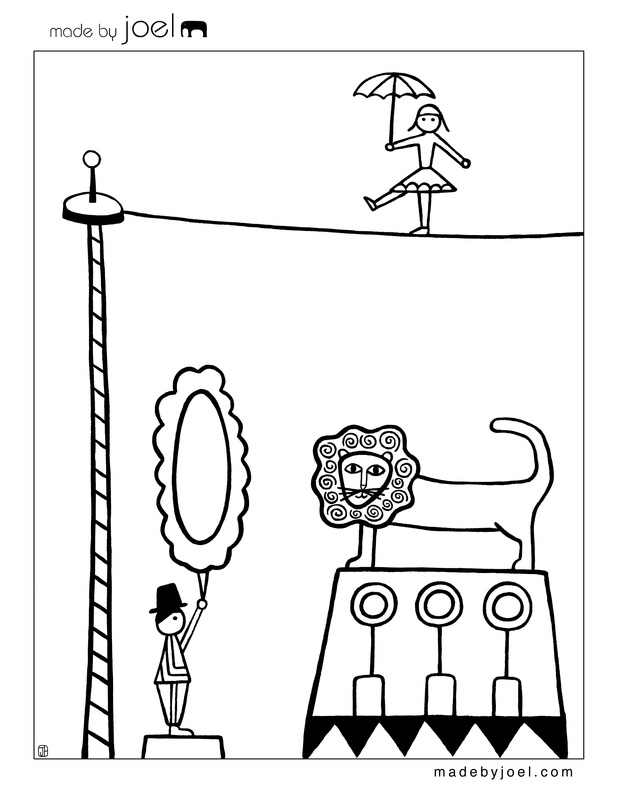 Made by Joel » New Circus Coloring Sheets! I just finished some paintings for a Pediatric Dentist’s office here in Portland. 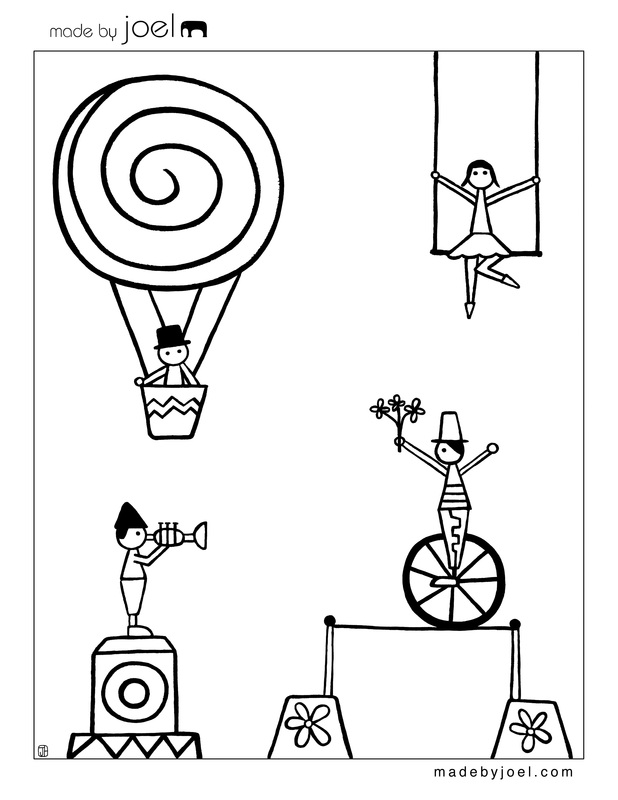 I’m starting to create a Paper City Circus with the designs, but in the mean time, I quickly made some coloring sheets too. 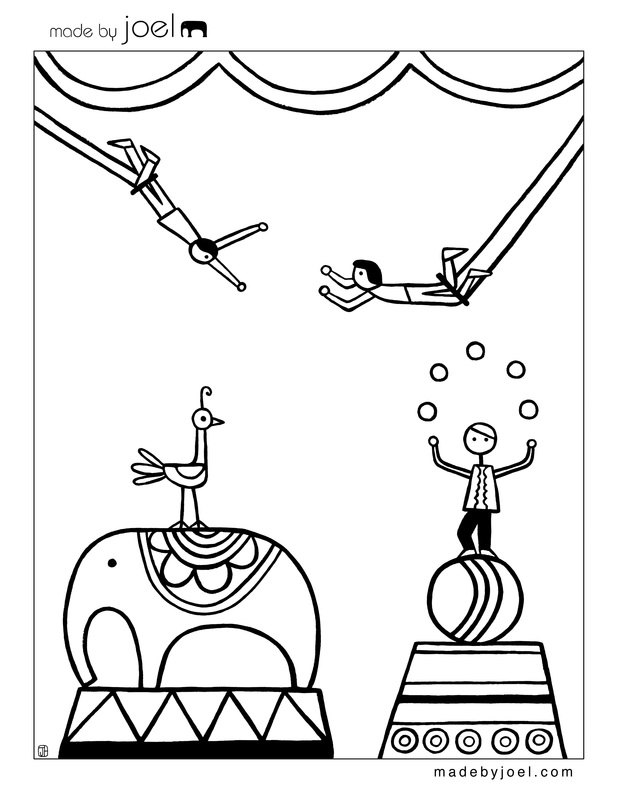 So here you go – three circus coloring sheets! Also, you can now print all of the Made by Joel coloring sheets from one convenient page! Click on the images below, then print. If you’re interested in taking a closer look at the original paintings, you can click on the image below. Thanks! Yes, sorry for the long wait between posts. 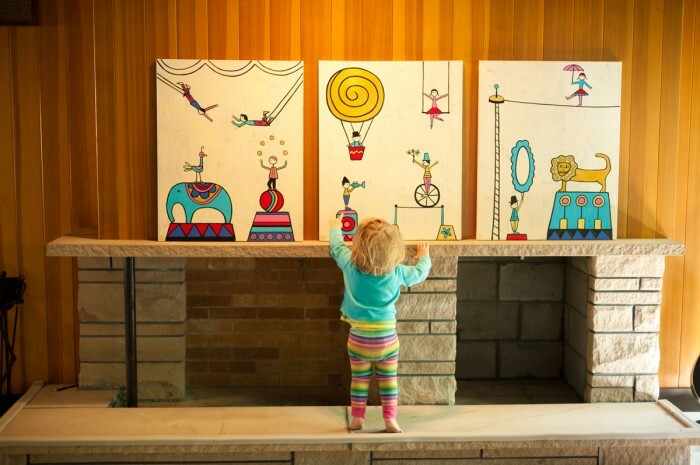 Been super busy with art commissions lately - and yes the kids too! I've got a lot of projects in the works though, so more to come soon! These are fantastic! So funny, my daughter is headed off to circus camp in a few weeks too. I am going to print them out for her. Cool! Circus camp would be so fun! Thanks for these nice sheets ! and remembering the fantastic unicyclist you did for us ! cool! my 4 yr old always enjoys your coloring sheets!! thanks for sharing!! Juste love them - thank you ! My 3 year old son is "studying" circus at school, would be nice for him having such coloring sheets at home ! Thanks for all the great comments everyone! I'm having a great time figuring out how to turn the circus people into foldable objects for the Paper City version. Fun! Wow well done. They are truely beautiful pieces of art. Hi ... I admire your work is very beautiful and funny, I'm a teacher and my students love your creations ... thanks for sharing ... you are something like God sent an angel to share their works of art so beautiful .. . ... Thanks!